So we left off with ships parked around the various moons of Jool. Let's see if we can get any of them landed. Robert's excited about the prospect of landing on Laythe. It took quite a few "simulations" before we managed to land on that island. We did manage in the end. It is a very steep island, the ship slid for a very long time before coming to a stop. 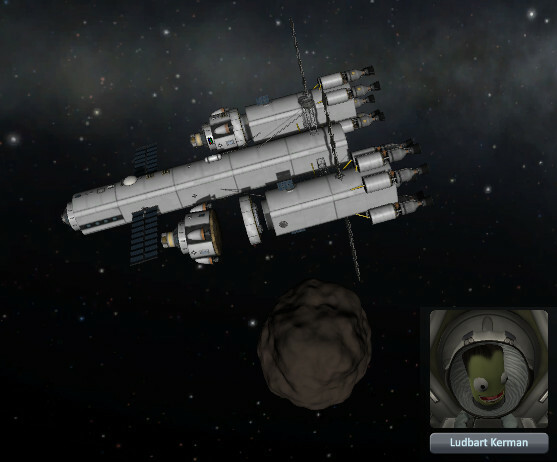 First Kerbal on Laythe! We seem to have forgotten to put a ladder on though. And whenever we tried to climb it just made the ship start sliding down the hill again. Robert might be stuck on the surface for a while. In the meantime, ship number two (the Leonov of course) finally arrived, in a much more equatorial fashion than the Discovery did. Ludbert and Josey-Jo are flying things the best they can. They burned to a Bop encounter. Meanwhile, far away, the Pirate Twins had an encounter of their own. By random chance these two things were happening within about 2 hours of each other, causing a lot of careful switching back and forth. The twins finally found a pilot, though it is uncertain if Valentina will join them or not. She was actually a bit annoyed being "rescued" as she had a full fuel load. Back to Bop. Mmmm, Bop. 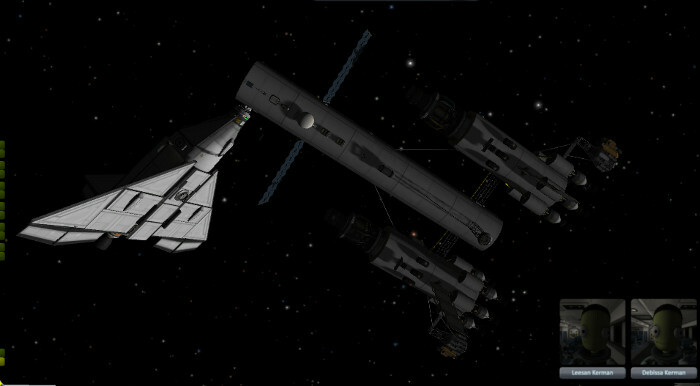 Anyway Leonov managed a parking orbit and Ludbert is watching Josey-jo departing. And she made it, with very few problems. We're getting tantalizingly close to completing Operation Patillas here. Can we get someone to Val? It looks like it might be possible! 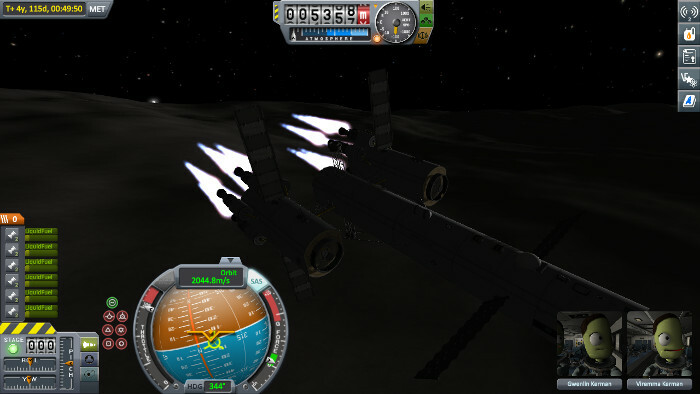 The large ship can't make it with off-axis thrust though so the lander will have to go it alone. That's a very interesting color of blue. 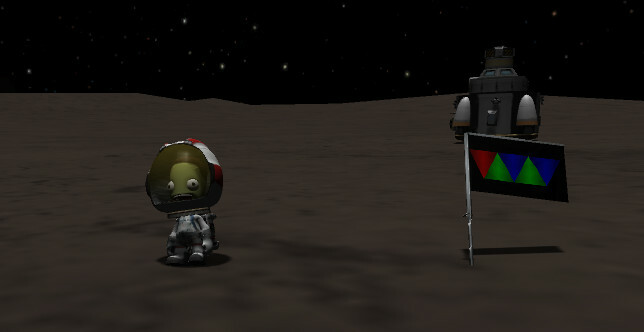 We landed first try! 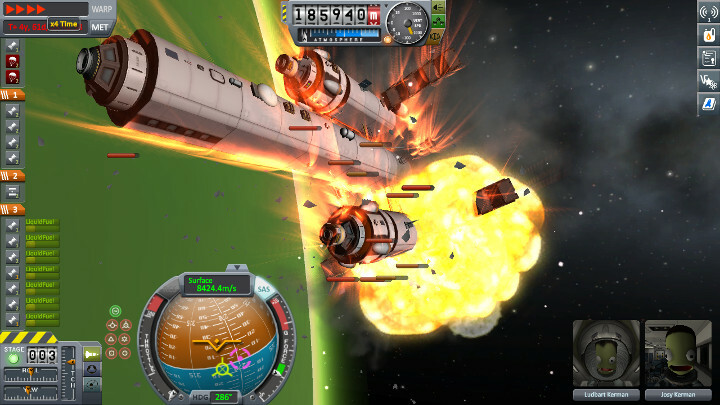 I have no idea how, the lander came in too fast and Ludbert ejected at high speed but somehow he survived. Possibly because of his miraculous landing he was in a weird "stuck on ladder" state which made it impossible to save, fast-forward, or exit. (Luckily it turned out to be able to save/restore from the exit-menu). 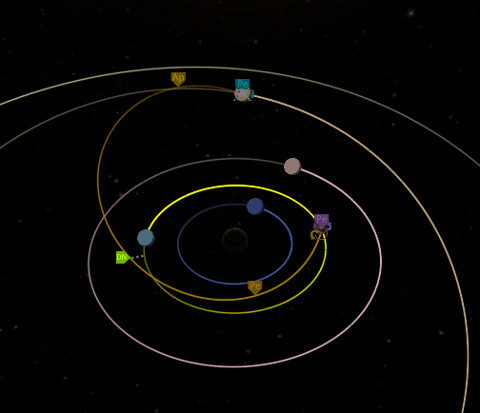 Now we just need someone to land on Tylo! We're all out of landers though. 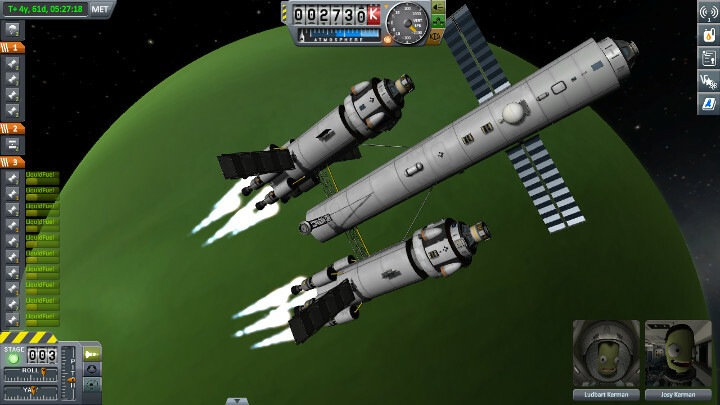 We do have a ship with a lot of fuel in orbit though... Viremma might regret sticking with this group. We ran a huge number of simulations, and none ended well. Tylo is too big and the ship is about 500m/s too low on delta-V to pull it off. Not sure what this means about Operation Patillas, so close yet so far. Mounting another Jool mission will take years.